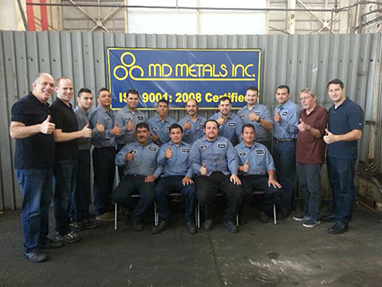 Welcome to MD Metals, Inc. specializing in heavy gauge narrow steel slitting, edge conditioning and cut-to-length. 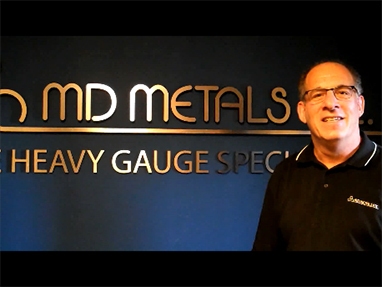 MD Metals, Inc. was founded in 1990 by Michael Dallek, the current owner and president. With over 30 years of experience in the steel and scrap industry Michael brings a wealth of knowledge to the table. We recognize the importance of a strong team. Through continuous training and communication a strong partnership exists between employees and management. Since our inception we have stayed focused on providing products that most cannot offer. From the start we observed that it was difficult to find heavy gauge narrow slit coil. Originally we could slit .250” thick by 1” wide and strived to improve on this. Today we are able to slit .375” thick by .75” wide. Throughout the years we have added many other niche products and improved upon them the same way. Starting with one light gauge edging line we are now able to produce .400” thick material with fully round edges and custom length flat bar with fully square edges. These examples encompass our corporate mission to stay dedicated to constant growth and improvement. With our ever-improving capabilities and equipment, we continue to build on our strong reputation in the flat rolled industry. We sell narrow slit coils, edged coils and strips/flat bar to many industries. They include service centers, stamping, roll forming, hardware, agriculture, automotive, furniture and many more. Toll processing jobs are treated with the same importance and urgency as steel sales. 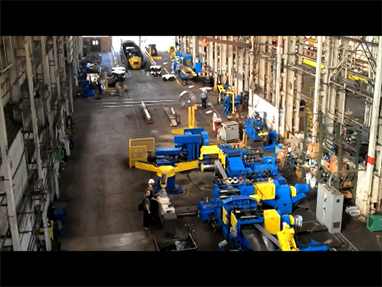 Our facility has 38,000 square feet under crane.